With its candy-like appearance, Rosemarie sure is a gardeners delight with both an appealing taste, and a look, that says Wow! 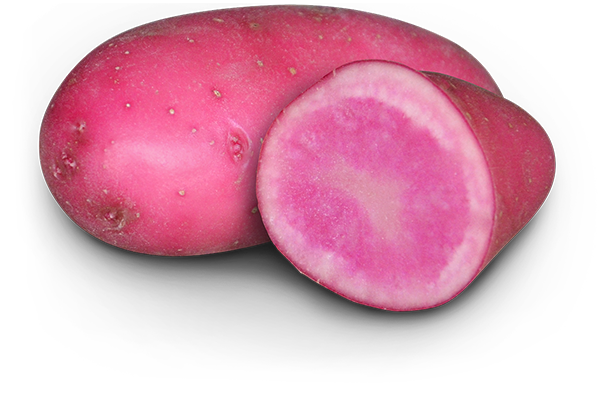 Rosemarie is a fingerling-type potato with a smooth glossy skin finish and a creamy pinkish white centre. 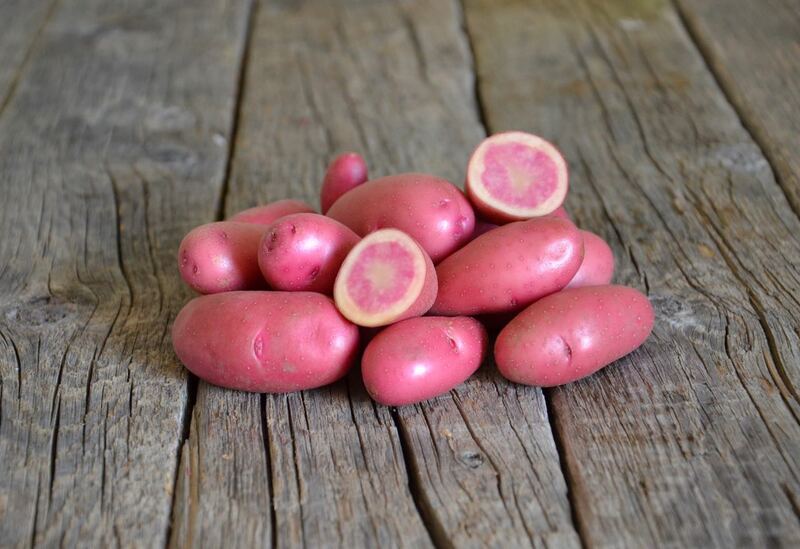 This unique specialty variety produces high yields and high numbers of smaller pink fingerling potatoes. Great for containers! 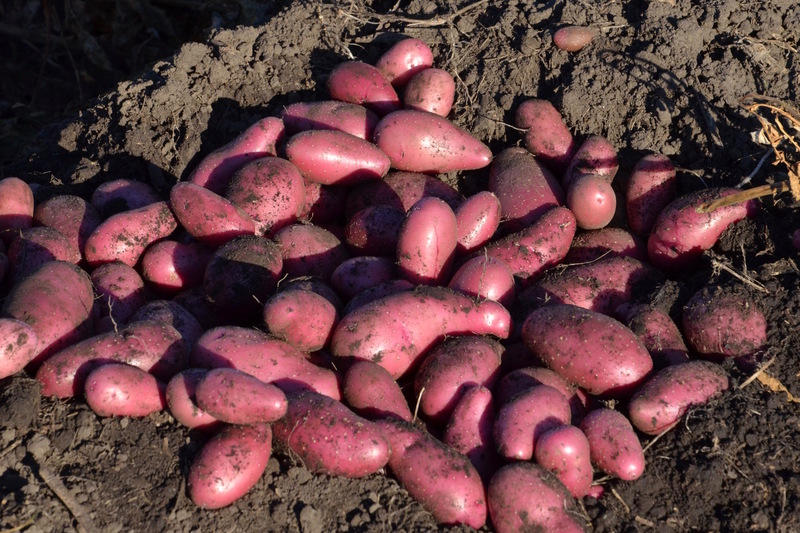 Rosemarie is a smaller mid-season fingerling-type variety. It grows high numbers of small to medium tubers and works great in gardens and raised beds but equally well in small pots and containers. Plant in mid-May for a mid-August harvest. 80-90 days till maturity. Space 20-25 cm (8″- 10″) apart. Rosemarie is a colourful gourmet gem! 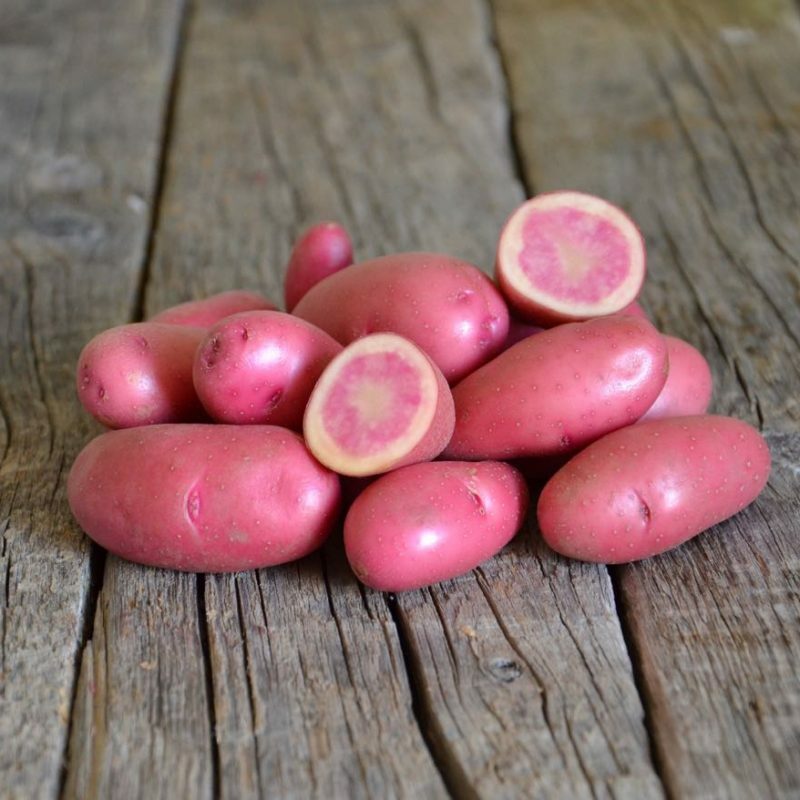 This variety has a moist waxy texture with a buttery – slightly tart – taste. A true culinary delight fresh from the earth. It works well boiled, steamed, and oven roasted. Rosemarie also makes attractive pink potato salads! 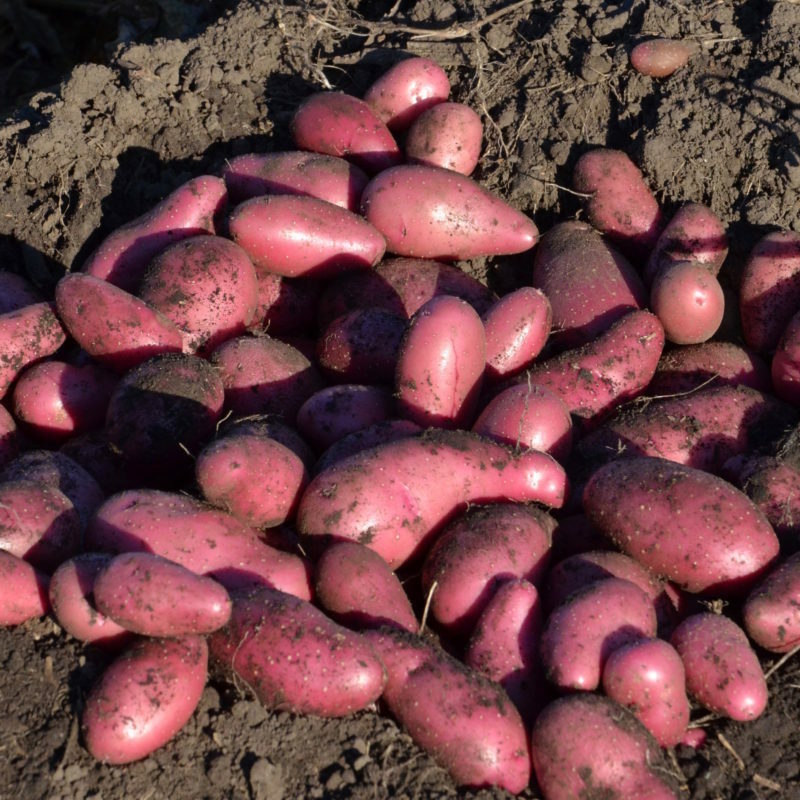 This variety does not require any peeling and is easy to prepare. Approximately 4 months at 6 degrees Celsius.